I adore Halloween and have forever! We have so much fun with it!! 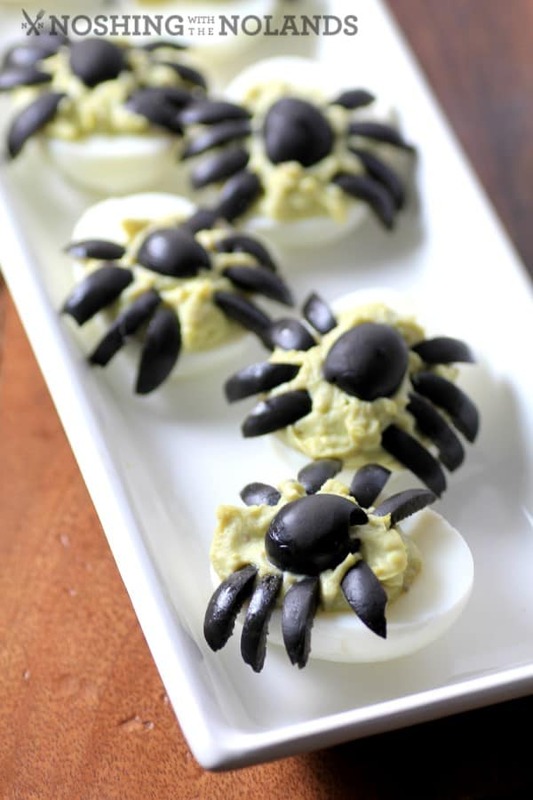 I love serving spooky treats that taste delicious like these Spider Guacamole Eggs. I have loads of recipes that we have used over the years for our Halloween parties but this is a new one to try. I have made ghoulish deviled eggs before for parties and they are always gobbled down. Everyone loves a great deviled egg. This is a very easy recipe as all you do is mix in some mayo and store bought guacamole to the yolks and you get that nice spooky green color. Scare some of these up for your guests! 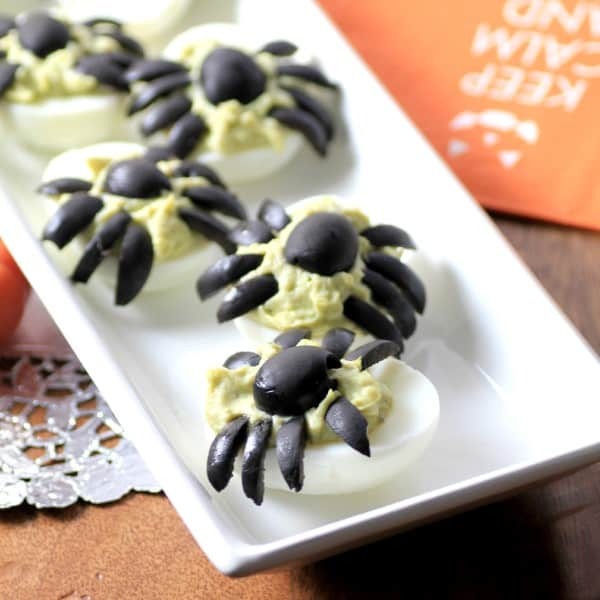 Don’t these creepy eggs look like they could crawl right off the plate? The filling for the eggs is so creamy and delicious they will disappear one way or another!! 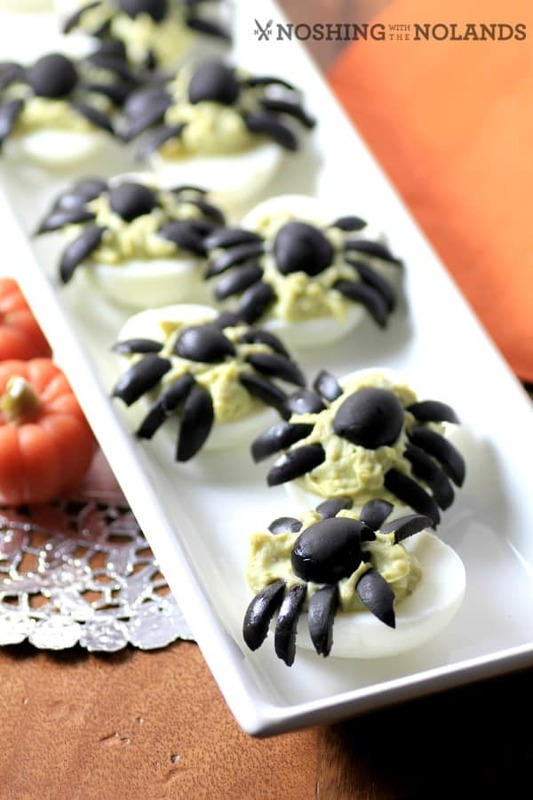 Put some of these Spider Guacamole Eggs out for Halloween night and they will be gobbled up. A lot of the adults in your neighborhood just might stop in for a little trick or treat of their own with a glass or wine and one of these great eggs to nibble on. Happy Hauntings Everyone, enjoy your Halloween! 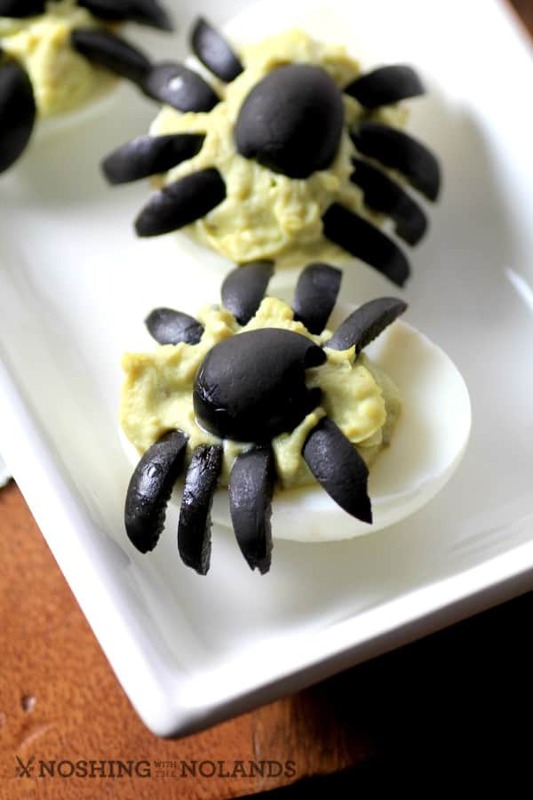 These Spider Guacamole Eggs make a hauntingly good appetizer for Halloween. Cut the egg in half and scoop out the yolk carefully. Mash the yolks in a small bowl and add the mayo, guacamole and salt and pepper. Spoon back into the egg whites. Cut the black olives in half and then slice four legs from the halves. Use whole halves for the body and four slices per side for the legs. Thank you Becca, and they are so delish too! Such a cool and fun idea! Just in time for halloween. Thanks Elizabeth, I loved the guacamole with the egg yolks, so creamy and delicious!